Dinner time is family time – when one can relax and spend time together with loved ones, sit back to enjoy a wholesome meal. What better way to enhance this experience than to whip up healthy dinner recipes, ones that are wholesome and yet not too tedious to cook! Remember to keep a check on your calorie consumption through the day so that you partake of a healthy dinner. Typically a healthy dinner should provide 500 to 900 calories for an individual. Follow this simple guideline to measure a portion size for a healthy dinner. Keep saturated fat at bay. Planning and organizing yourself is the key to quick healthy dinners. All of us love to have a list of quick and healthy dinner recipes that need few ingredients and yet are nutritious and wholesome. Preparing a healthy dinner for your family will no longer be a struggle with these express recipes. Plan in advance, decide on the recipes you will be preparing the following week. Shop for all the ingredients and keep everything handy. Chicken tenders are fat-free strips of rib meat. 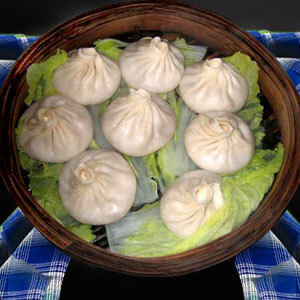 They can be found underneath the chicken breast or can be purchased separately. They are best suited to prepare quick stir-fries, chicken fingers etc. Quick-cooking barley is available in the market and easier and faster to cook when compared to the normal pearl barley. They are thinly rolled when compared to the normal pearl and reduces cooking time by 30 minutes. 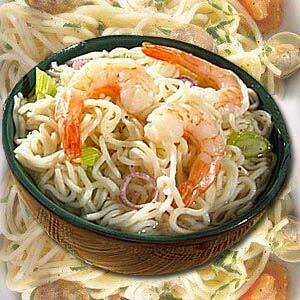 Quickly defrost frozen shrimps by placing them in a colander and running them under cold water until they soften. Always store these essential and nutritious items in your kitchen - brown rice, whole wheat pasta, canned oily fish like tuna, salmon, and sardines, canned or dried pulses, nuts, seeds, frozen chicken breast, fish fillets and diced turkey. Eat plenty of whole grains – consume whole grain food at all meals. Include whole grains like wholegrain bread, brown rice, wholegrain couscous, whole-wheat pasta in your dinner. Eat plenty of fresh vegetables; consume at least two different vegetables for dinner. 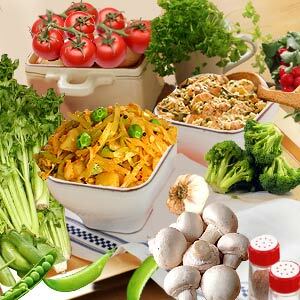 Serve vegetables as accompaniments to the main dish. Serve vegetables either along with dinner or before dinner just to bite on. 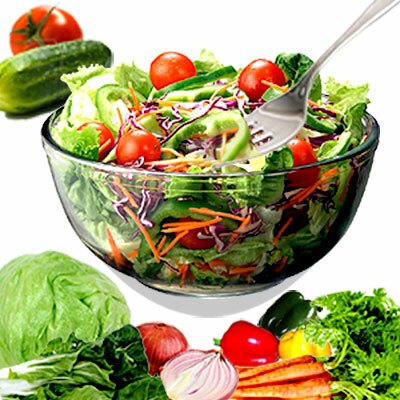 Cooking vegetables can kill their nutrients, so it is better to consume them as salads and retain their nutrients. 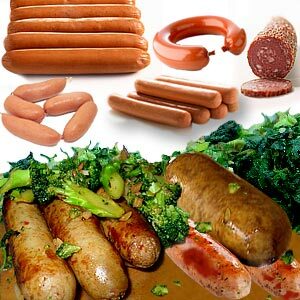 Protein can be derived from nuts, pulses, fish, poultry etc. Eggs are a good source of protein. While using canned food for dinner, make sure it has less salt. Cut down on starchy items like potatoes and add fresh fruits and vegetables instead. In medium sized bowl, whip 1 tbsp soy sauce, 1 tbsp sherry, 1 tsp sesame oil and 1 tsp sugar. Add chicken to it and marinate for about 30 minutes. In another small bowl, whip 1tsp soy sauce, 1tsp sherry, 1tsp sesame oil and 1 tsp sugar and keep it aside. In a big non-stick skillet, heat 2 tbsp peanut oil in high flame. Add the white part of the onions and chilies and toss for about 30 seconds. Add chicken and stir-fry until cooked. Transfer chicken to a bowl. Add 1 tbsp peanut oil to the skillet and heat over high flame. Add the greens and stir well. Cook until tender. Add chicken to the skillet and sauté for about a minute. Season with salt and pepper. Transfer contents to serving bowl and sprinkle the green part of the onion and peanuts. Over medium heat, heat up a large pot. Add oil and add some of the onions, cook until they become transparent. Add cumin, coriander, black pepper, stroganoff mix and cumin. Cook for about 3 minutes. Transfer the onion into a mixture bowl and keep aside. In the same pot, add beef and cook until it turns a light brown color. Add onions, carrot, potatoes, beans and enough water to cover the vegetables. Cook with the lid covered for about 20 minutes; ensure that the carrots and potatoes become tender. Serve hot with brown rice. Nutritional information: Beef is filled with iron, protein and other important nutrients, while brown rice is one of the healthiest foods in the world. Beef and brown rice combined with vegetables makes this dish wholesome, nutritious and tasty. Cook linguine until tender, yet firm enough to bite. Cook bacon over medium heat until crisp. Transfer it to paper towel and drain. Add onion and sauté over medium heat until the onions get soft. Add Swiss chard, sprinkle pepper and salt. Add pasta cooking liquid to the skillet. Toss until the pasta is tender and cooked. Add little vinegar and cook for about a minute. Add linguine and oil to the sauce and toss so that it coats well. Transfer into a big bowl. Sprinkle bacon and cheese. Season with salt and pepper as needed. Preheat broiler. Pat dry the lamb chops. With the help a paring knife, make holes in the lamb chops. Into these holes insert the garlic slivers. Smear olive oil on the top (use half the olive oil for this side). Pat the peppercorn (use half of the peppercorn for this side). Repeat the same procedure on the other side of the lamb with the balance oil and peppercorn. Broil the lamb chops until the lamb is browned outside but is pink inside. This will take about 4 minutes for each side. Nutritional information per serving: 215 calories, 90mg cholesterol, 80mg sodium, 362mg potassium, 1g carbohydrate, 10g fat, 29g protein, 0g fiber, zinc 26% daily value, selenium 445% daily value. In a medium saucepan, beat milk, cocoa, egg, brown sugar, and cornstarch thoroughly. Cook on medium heat until the mixture bubbles and thickens. Remember to beat thoroughly. Cook for about 5 minutes. Add chocolate chips and vanilla and whisk until the chips have melted. Transfer the contents into a bowl and cover it with a wax paper (this will prevent skin formation on top). Refrigerate and serve. Nutritional information per serving: 229 calories, 56mg cholesterol, 42g carbohydrate, 9g protein, 2g fiber, 4g fat, 388mg potassium, 117mg sodium, calcium 25% daily value. Preheat oven to 500 degree Fahrenheit. Toss green beans and red bell pepper with salt and pepper. Spread it on a rimmed baking sheet uniformly. Roast it at 500 degree Fahrenheit until it turns brown and becomes tender. Cook for 10 minutes, half way through the cooking turn contents. First Published Date: 17 Apr 2008 Last modified Date: April 23 2019 This page may have been updated recently as new information is available or the content may have been edited for better readability.